Commercial Real Estate Zoning and allowed uses can be a challenging topic and information is often times hard to find. Sources, sites and resources are spread far and wide for Las Vegas. Keep reading for the EASIEST way to determine where your business can work! First Step: DETERMINE WHAT YOUR BUSINESS IS. In the beginning you must determine your business type; are you a Church, Agriculture Center, Brewery, or Retail Space? Once you know what your business type is, head over to this link and search your business. http://www.clarkcountynv.gov/comprehensive-planning/zoning/Documents/3044.pdf . Now, let’s say you’re looking for a space to put a church. 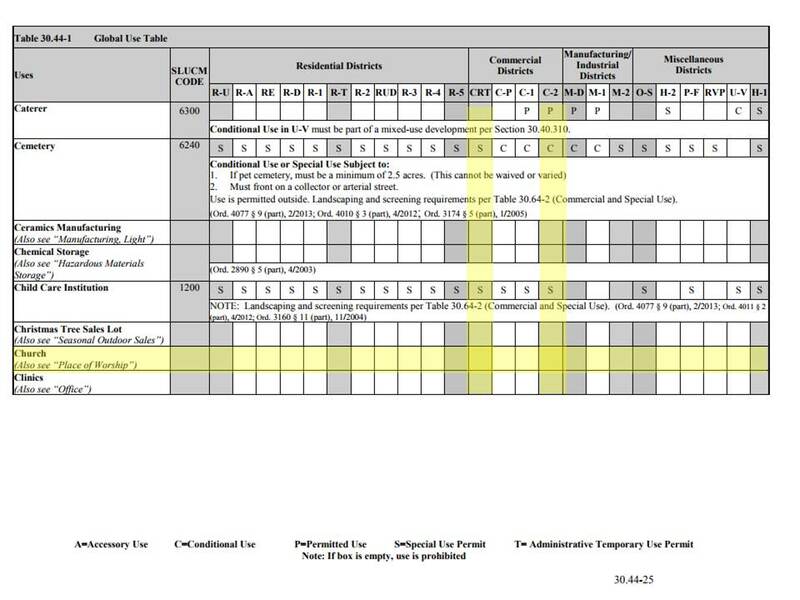 Once you find ‘Church Use’ in the link provided you can see what specific Commercial Real Estate Zoning zoning works for you. Currently in Las Vegas ‘Church’ spaces can reside in C-2 Commercial and CRT Zoning as well as certain residential districts. What does ‘Commercial Real Estate Zoning’ mean – what is C-2, C-1 etc? P-O Professional Office. The P-O District is intended for office uses in an area predominantly residential but because of traffic and other factors is no longer suitable for the continuation of low density residential uses. O- Office. This District is designed to provide for the development of office uses, supporting service uses and low intensity commercial uses performing administrative, professional and personal services. Can be small office buildings developed in a cluster with an internal traffic circulation system or one larger office building. C-D Design Commercial. Designed for development of a select type of light commercial uses. Must be in harmony with the neighborhood in which it is located. C-1 District Limited Commercial. Zoning is intended to provide most retail shopping and personal services, and may be appropriate for mixed use developments. C-2 General Commercial. Zoning is designed to provide the broadest scope of compatible services for both the general and traveling public. This category allows retail, service, automotive, wholesale, office and other general business uses of an intense character, as well as mixed-use developments. C-PB Planned Business Park. District allows industrial uses, including light manufacturing, assembling and processing, warehousing and distribution. As well as research, development and testing laboratories; medical related uses and ancillary commercial uses in an Industrial Office Park setting; and mixed-use developments. C-M Commercial/Industrial. District designed to provide for a variety of compatible business, warehouse, wholesale, office and limited industrial uses. M – Industrial. Intended for heavy manufacturing industries in locations where they will be compatible with and not adversely impact adjacent land uses. Finally, once you’ve defined your business type and your appropriate Commercial Real Estate zoning you’re able to set out and search for spaces! Remember that certain businesses can be approved by Clark County even if they don’t fit within the defined space uses above. We mention this because there’s a possibility you can place you business in unspecified zoning. We suggest you use zoning as general guidelines and contact Clark County for further questions about your zoning use! HOW TO DETERMINE THE ZONING FOR A SPACE FOR LEASE. To determine the Commercial Real Estate Zoning of your space we recommend you search the available space on websites like Loopnet, PropertyLine or CommercialCafe. Generally a listing agent includes the zoning type for easy reference and to help with search results – if you’re on sites like Craigslist or simply drive by a space that you’re interested you might not be able to find the zoning. If you search the address here; you can seeing the Zoning and Planned Use. Finally; if this article helped you we’d appreciate your share! Feel to contact us at www.lvcambridge.com/contact. 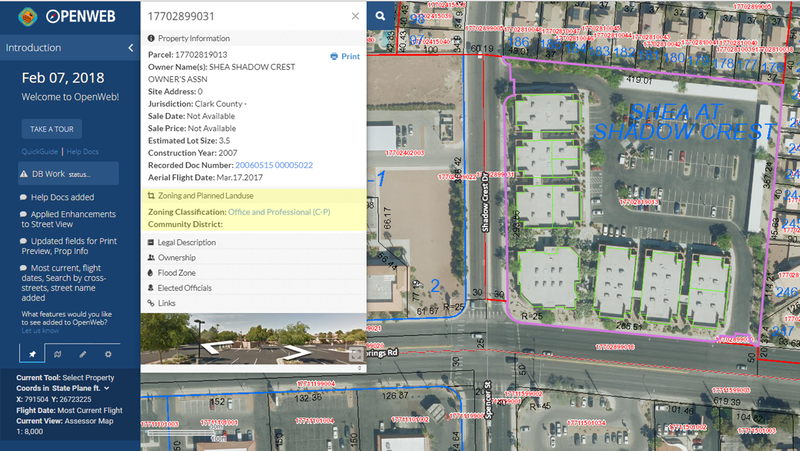 See our sources here; “Unified Development Code.” Unified Development Ordinance – Document Viewer, City of Las Vegas, NV , online.encodeplus.com/regs/lasvegas-nv/doc viewer.aspx?secid=17&keywords=ZONING#secid-395.